Do you like food that makes yer heart melt? Take ten minutes out of yer day and make this now. RIGHT NOW. Yer cup of coffee. Just because. 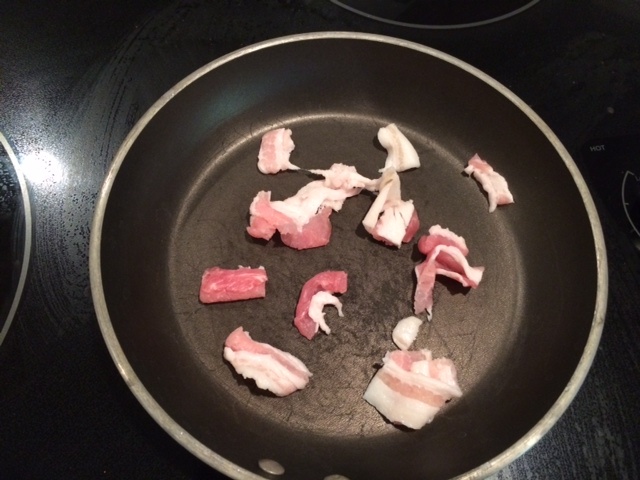 Chop up the bacon and fry over medium hear in a small skillet. That’s really out of focus. Sorry. My hands were slippery and I was under pressure. Take the pan off of the heat for about one minute–we still want the pan warm. And don’t you dare get rid of that bacon grease. 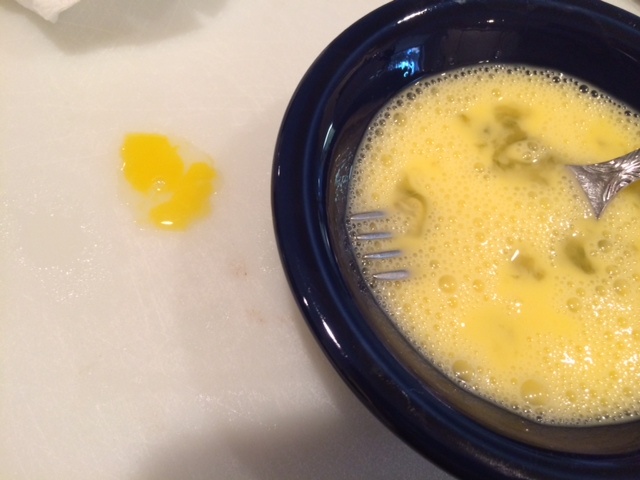 In a small bowl, scramble your egg with a teaspoon of water <—Always add water to yer eggs. It makes ’em real fluffy. 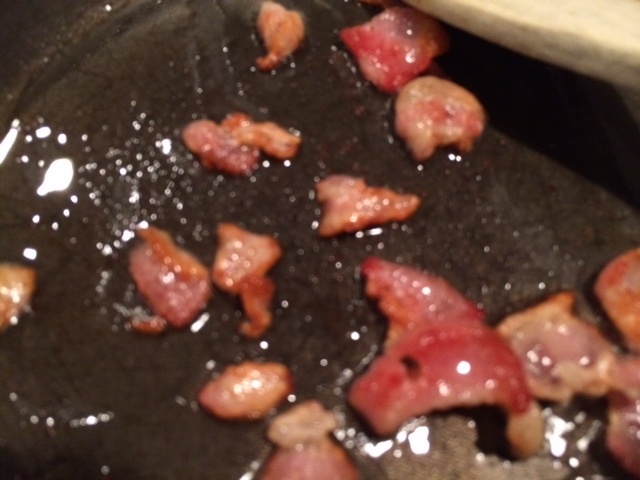 Add yer eggs directly to the pan over the bacon and return the skillet to medium heat. 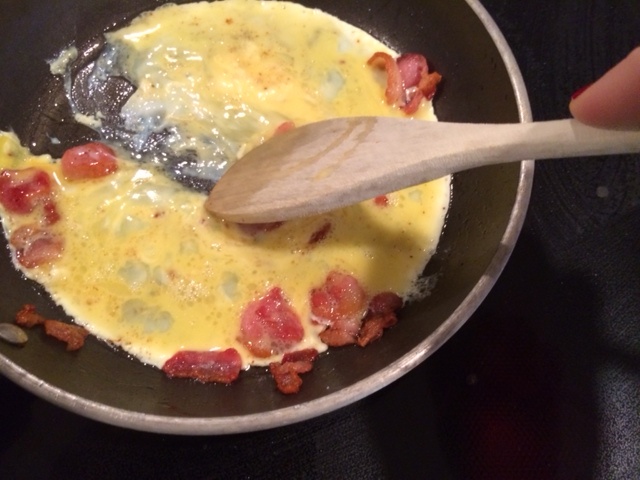 Lightly stir until the eggs are almost cooked. 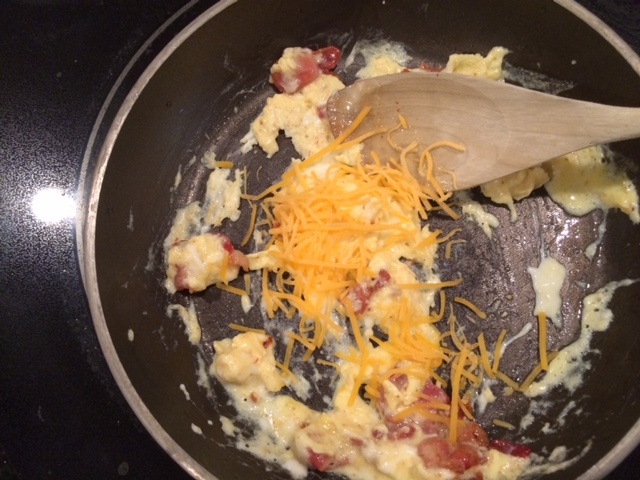 Then add a splash of cheese. 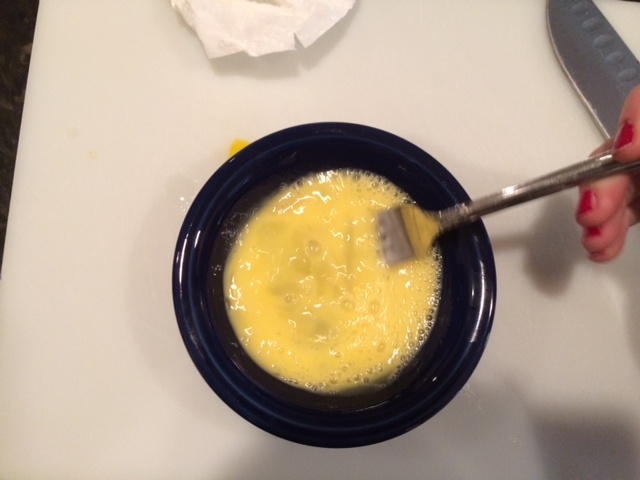 Stir until the cheese is melted and remove from heat. 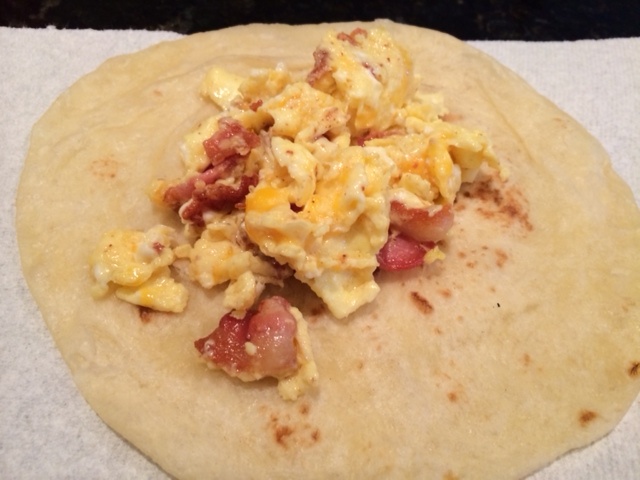 Heat yer tortilla up in the microwave for ten seconds. 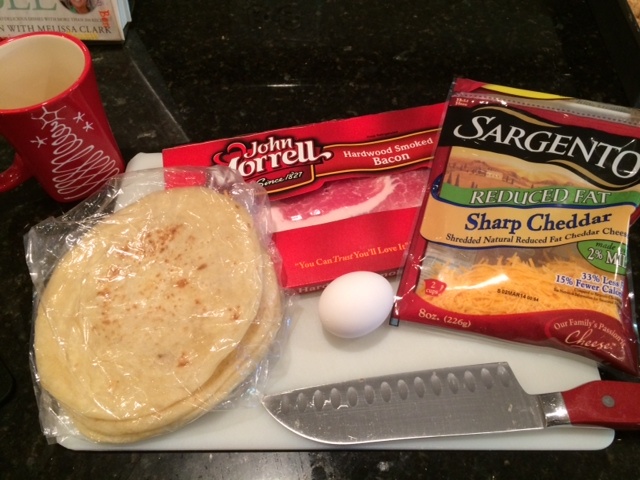 Place yer mixture onto the tortilla. 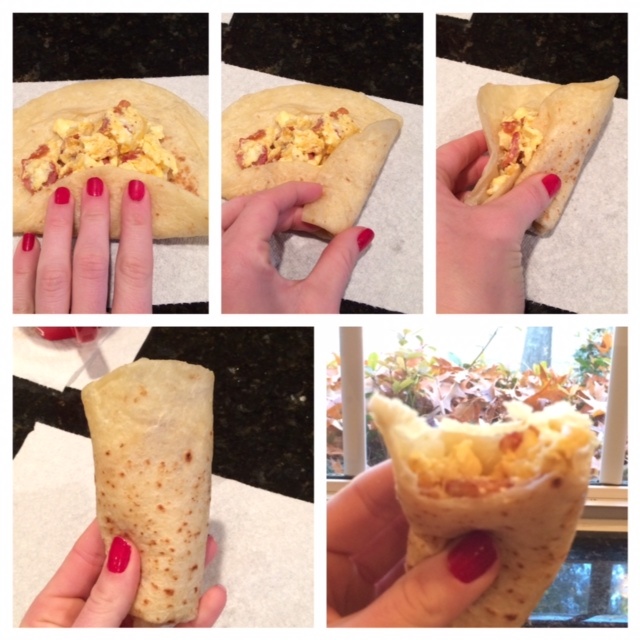 Stop drooling for five seconds and check out this step-by-step of how to fold yer taco. For best results, enjoy with a cup of coffee on yer porch or in front of a fire.